Bespoke News: Project Completion - Cannock-Out! 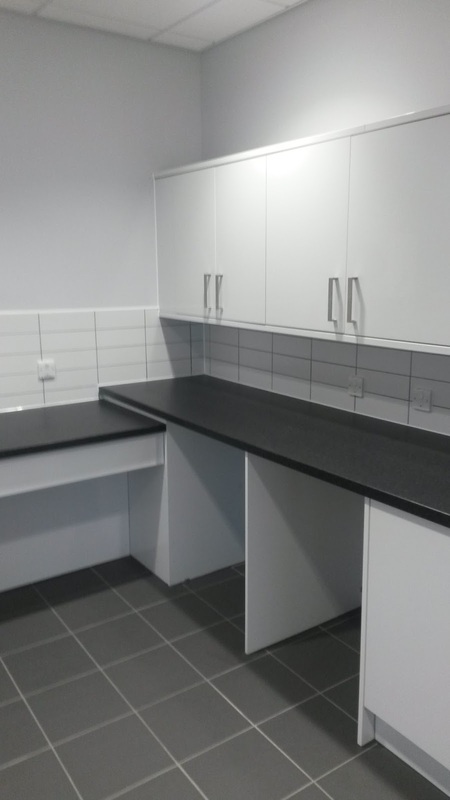 We are pleased to announce the completion of works in Cannock. 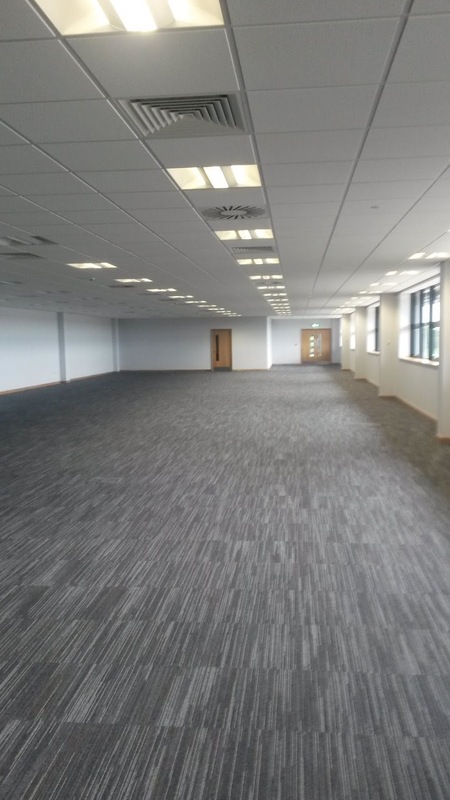 Situated on Kingswood Lakeside Business Park, our scope of works at this new distribution centre involved the internal fit-out of office and hub office accommodation. 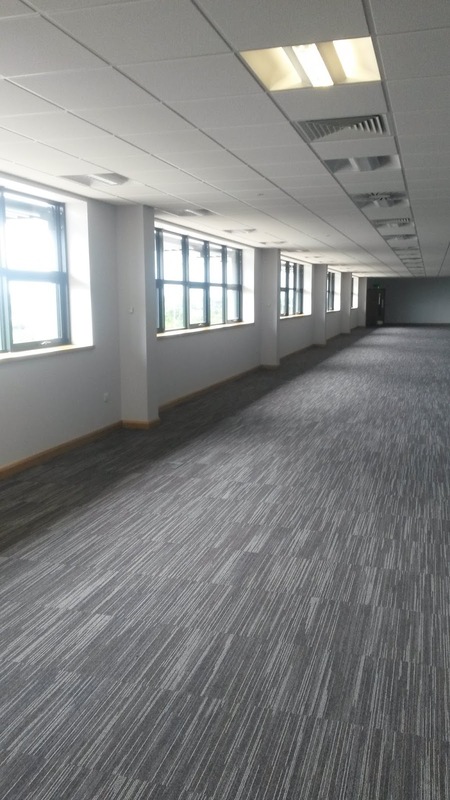 Working in conjunction with Main Contractor, Winvic Construction, our vast works package included partitions, drylining, carpentry, joinery and the installation of both suspended ceilings and kitchen facilities across three office floors. 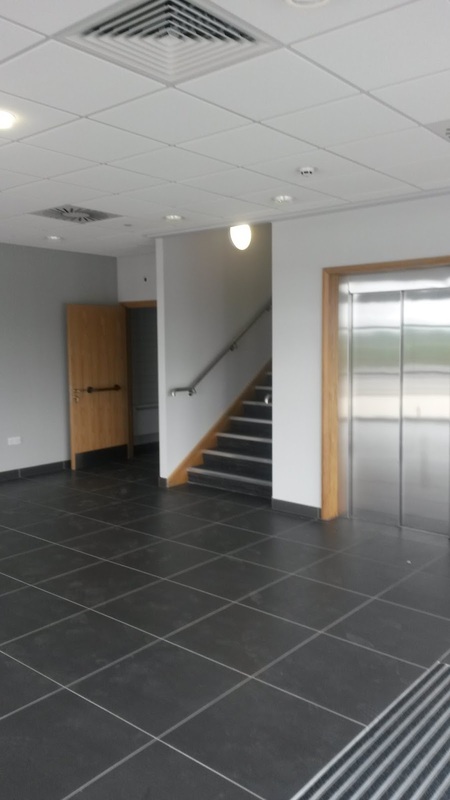 There is no end-user currently in place at this new development, but with modern, high-quality office accommodation now in place, we are certain that this property won't stay vacant for long. Situated in both scenic and convenient surroundings, the fantastic transport links on offer at this growing business park will be a big draw for any potential suitors.